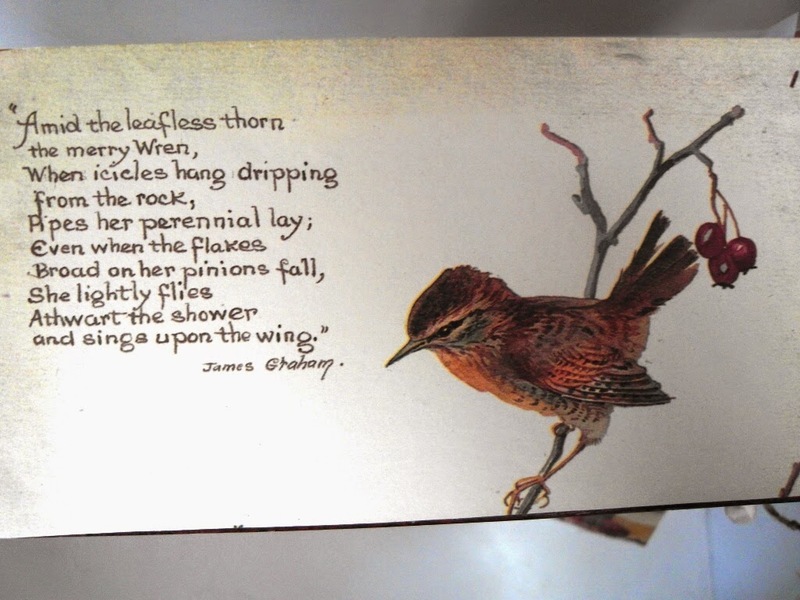 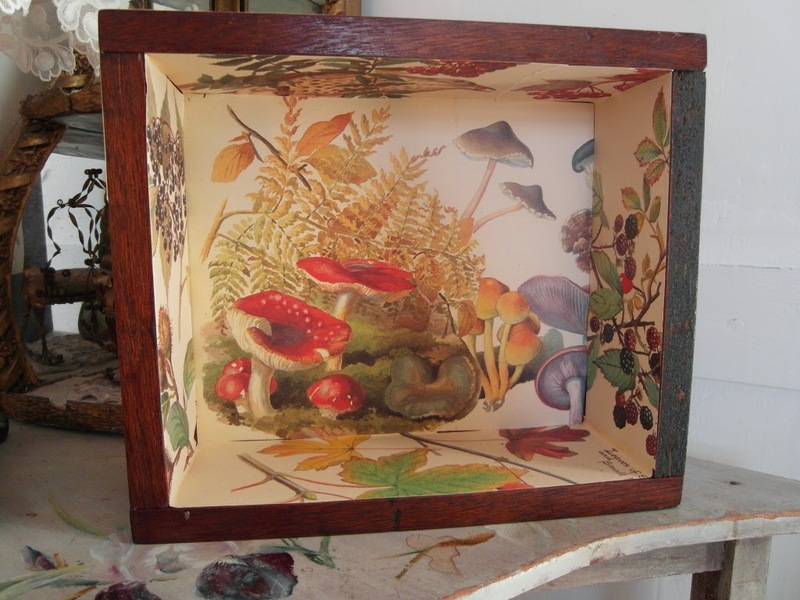 Often I am inspired by the Victorian era and their love of natural history and specimens. 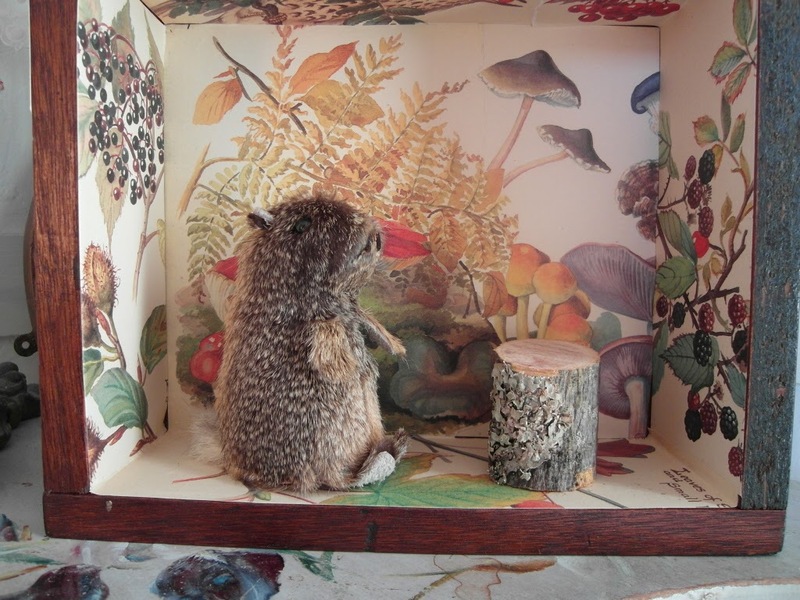 I decided the box, stood up on its end, would make a lovely display case. 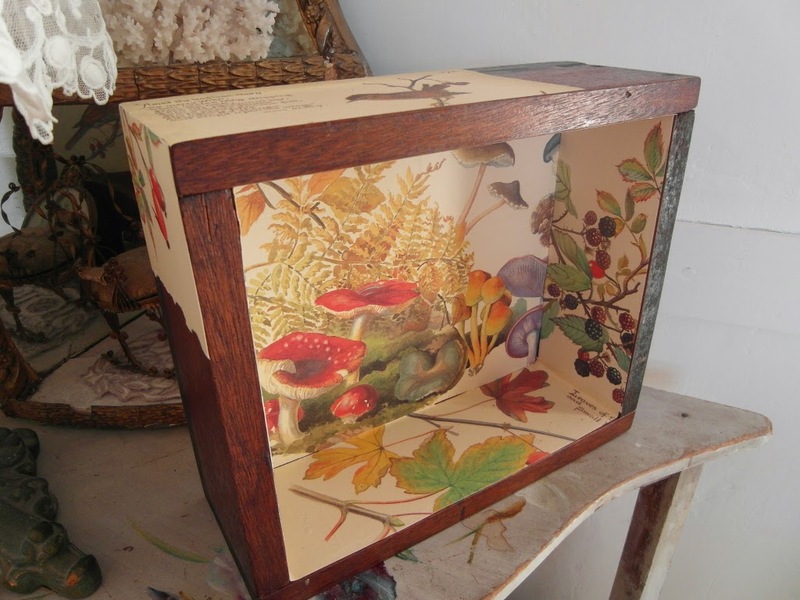 I lined the inside with book pages - Using illustrations with an autumnal feel. 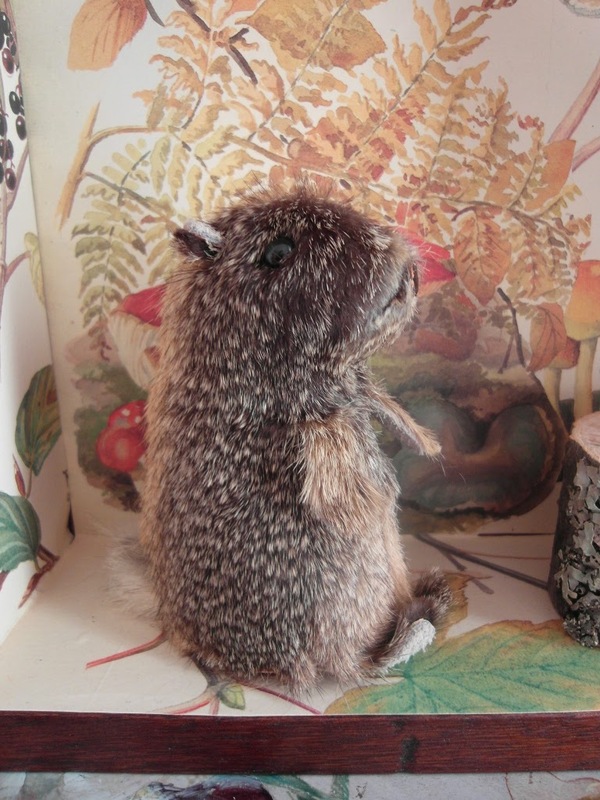 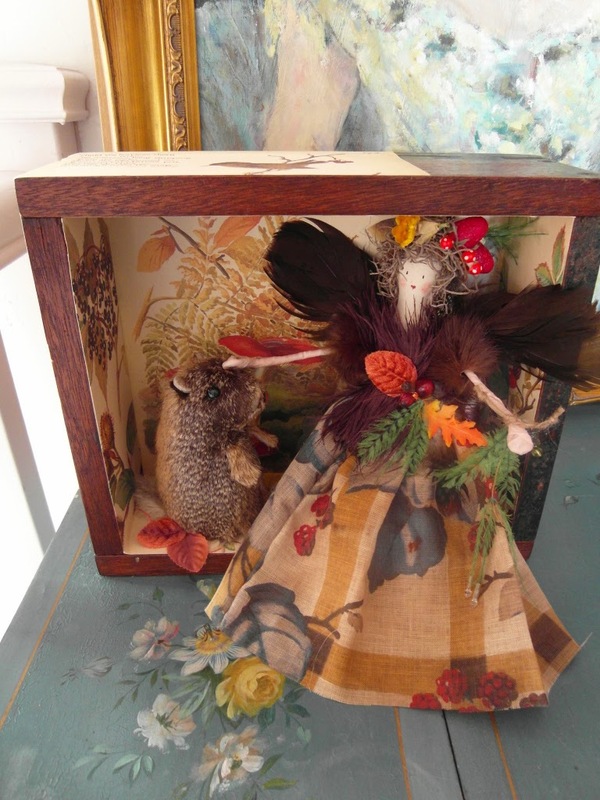 It reminded me of a taxidermy showcase, so with this inspiration, I added a cute toy fur mouse! 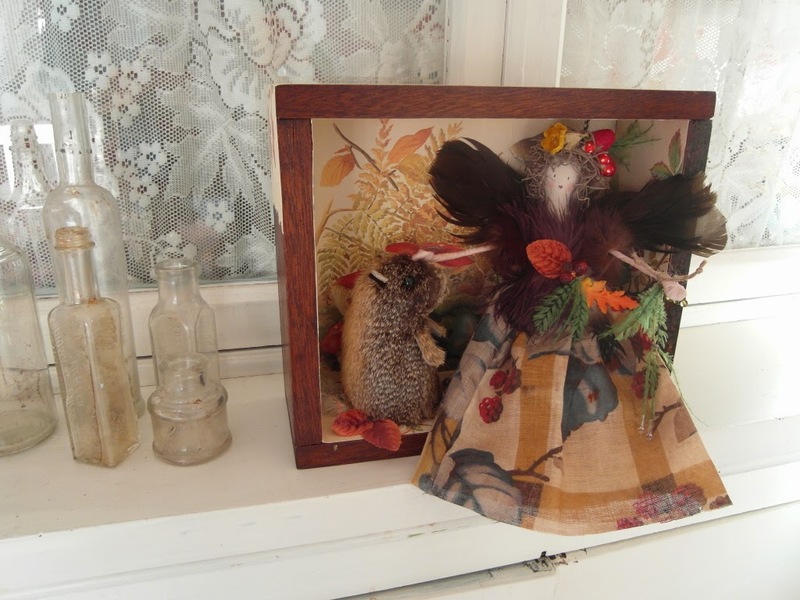 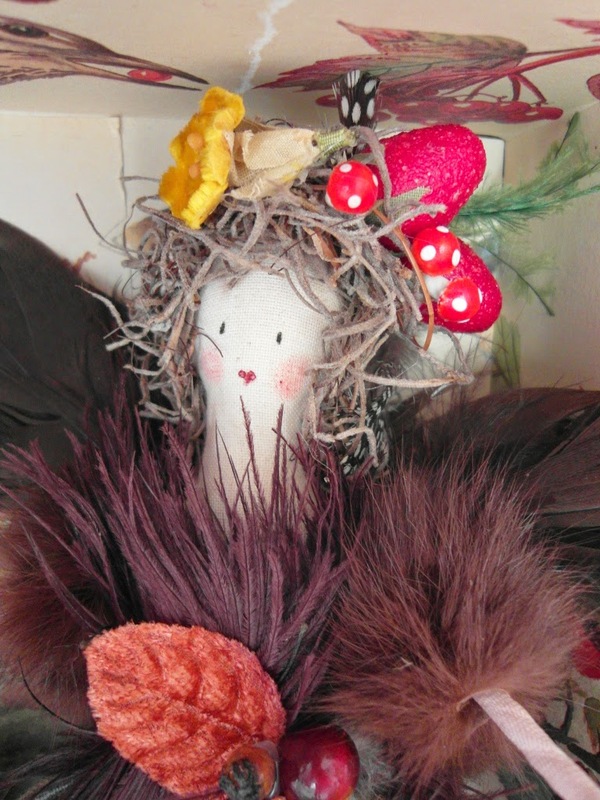 She is dressed in vintage fur, feathers, faux berries, toadstools and velvet leaves. 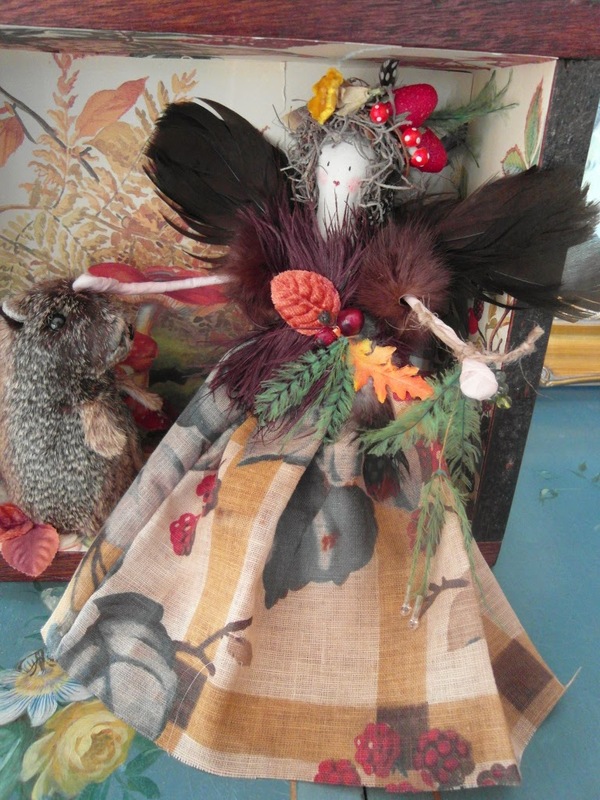 And her skirt is a c1930's fabric printed with blackberries. 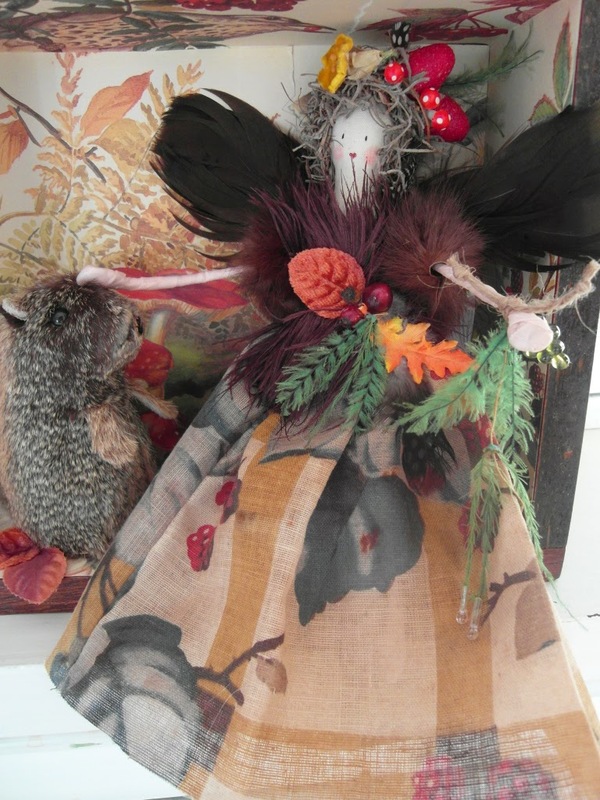 She's my final fairy artwork coming with me to the fair on Saturday.